gender blender. One of Kowalski's invention backfired and turned them into females. HD Wallpaper and background images in the पेंग्विन्स ऑफ मॅडगास्कर club tagged: penguins of madagascar penguin skipper madagascar picture rico private kowalski. Skipper & Marlene: Up High! I'm glad you liked it, thanks for the comments! Skipper is cute with eyelashes! 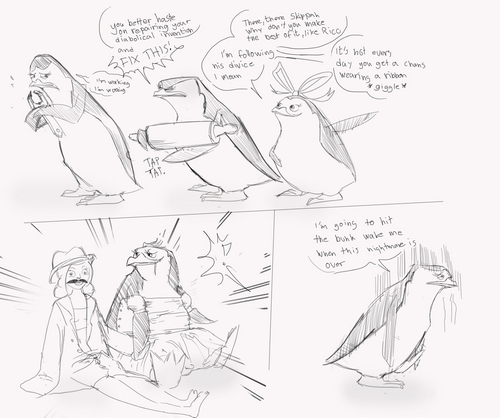 If he and his female counterpart were two different penguins, I'd ALMOST probably see them off better than Skilene!